It's kind of an crafty indirect question. I got the teacher badge. Best badge ever. @StackedCrooked anyways, y u no edit your VN question? @Xeo Is something wrong with it? Oh gawd the pling sound. @StackedCrooked Yeah, but not other's. Can you edit your meta question to include light novels / broadening the entire target of Anime.SE? @Rapptz Do you like it? Q: Can we change the "pling" sound from the chat? It's currently just... ugh, unpleasant. And not like a "ping" at all. Can haz change to normal pling sound from SO? Mods are also on SO, so let's try anime.meta. Just keep pinging bwooing someone. And since there's not enough users, no flag will get validated! Is that a friggin bowstring? @Xeo Does it turn you on? 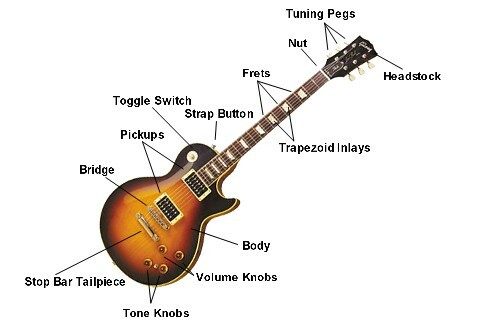 It's like a guitar without "sound box" (dunno how to call it in english). Oh, in English it's just called "body". Wait, no, it's called "soundboard". For those who don't know: I'm Aarthi, and I'm a community manager here at Stack Exchange. You'll be seeing a lot of me on the site. And all the ones (except you) in this chatroom. I'm not a high-rep user, I just frequent the C++ room a lot. Is this now the official anime chatroom? It's general discussion, which is opened by default when a site goes beta, IIRC. The StackExchange message at the beginning confirms this. 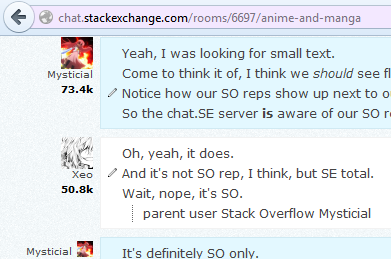 But it's also the official chatroom for the Anime site. So anime is always on topic in this room. Is the room created automatically? And it still isn't changed yet? :P Low-pitched noises tend to drown inside other noise. What's the url for the sound? Welp, have to go. See you people later. And the first wil be the last. The last one to stay? It took a remarkably long time. In my dream land, I'll let you be a real cat, if you'd like. Btw, I discovered Sakurasou no Pet na Kanojo a few days ago. It's quite enjoyable. @StackedCrooked I considered watching that, I like that character art / design. I do have to admit that I didn't watch anything this season, though. And I just noticed there is no rep on meta.anime. This last fall season there were some series quite enjoyable. The next season will be all crap, so you have time to catch up with the last. @Mysticial: Aren't you effectively asking for some sort of spoiler in your Valkyria Chronicles question? @Xeo Not really. But any sort of plot question will be a spoiler to some extent. I've rewatched the end of that show a bunch of times, never was able to figure out what happened. There was another plot disconnect I had in mind in Senki Zesshou Symphogear, but turns out that I didn't watch the ending closely enough to pick it up. I wonder if we get to see flags here. Do we need 10k on a non-SO, non-meta-SO? So I don't know from which side you'd need the rep, or if you get to see flags as soon as you have 10k on one of the sites. I like the activity that's currently going on, though. You'd expect them all to pour in. They big question is if the stream of question can be sustained. I think It should be quite active, not as much as today, but pretty "crowded"
@Xeo I haven't seen any of the mentioned shows except for Death Note. @Ikzer What we need to get this publicized on one of the Anime Cons. Oh yeah, that we do. We have Acen in May and AX in July. But I'm no in position to do something like that. @Xeo And I watch mostly the newest and airing shows. @Ikzer After it goes public beta. Since nobody else but us can get into it right now. 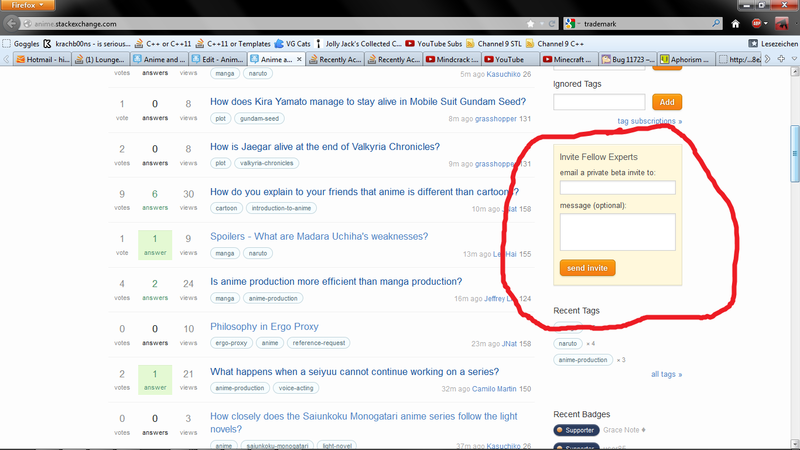 @Ikzer btw, you can click on the arrow at the right-most of each message to respond directly to it. On the right hand side. It was too big and obnoxious. So I didn't see it. Yeah, I was looking for small text. Come to think it of, I think we should see flags. Notice how our SO reps show up next to our AVs. So the chat.SE server is aware of our SO reps.
And it's not SO rep, I think, but SE total. Since I have 4k on meta and that's not being added to the total. @Mysticial It is. You have 74k on SO, and shows 79k here. Oh, on the profile it adds it all up. But here, it's the parent site. For me it also adds all up. It shows 73.4 for me here. But I have 74.2 on SO. Shows the same for me, but yours is different. So it does gather all rep. It's probably because I just made my chat.SE account today. So it didn't sync properly. I was so happy this finally launched. It's one of the few proposals I actually cared about. Hmm... is there no bin in the chat.SE server? @Alenanno Is there no bin on chat.SE like there is on chat.SO? I think there might be one. Or are there enough mod across chat.SE to not need it. There is one, do you want me to move stuff? I've been living in the SO rooms for like ever. Just getting used to here. Okay, guys, the starred list is empty. We should fix that. @Alenanno I think @Mysticial was mainly interested because on SO, in the Lounge<C++> chat room, we have the tendency to move annoying / bad posts to the bin room. @Xeo Ah that... I never did... The other chat rooms are less used (Beta usually). Not just the C++ room, but all the major rooms. I dunno how that came about, but it's interesting to see how everyone converged onto a single bin room. There's actually a second one that nobody uses. Well, it does make sense there to be only one... Nobody can access it (only mods). On SO, the bin room is gallery, but all the room owners of all the major rooms have either owner or write access to the bin. @Mysticial Ah I didn't know that. @Mysticial What are the new ones? Anything currently airing or within the last 2 years. And the majority of the shows I've seen are within the last 5 years. @Mysticial It's not so much about "old" shows, it's more about the popularity. @Alenanno "new" in the sense of "Aired in Japan"
@Mysticial What??? You haven't seen FMA? I mean like... Not a single question about Madoka or Ore Imo. Both of those were insanely popular at ACEN last year. Capital punishment is in order. @Alenanno Whenever I hear FMA, two things come to mind. Full Metal Alchemist and Fused-Multiply Add. @Alenanno And I have to say, both were great, even the first one. Did you also read the manga?